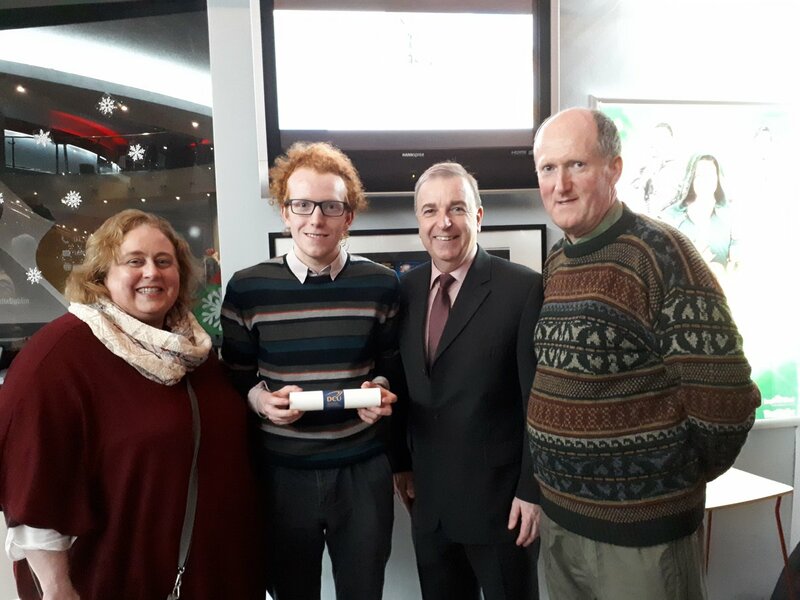 James McCormack, LC 2018, is joined by retired Principal Pat O’Leary and his parents at the DCU Academic Scholarship Awards ceremony in the Helix. James is studying Applied Languages (French and Japanese). Best wishes for the future James.